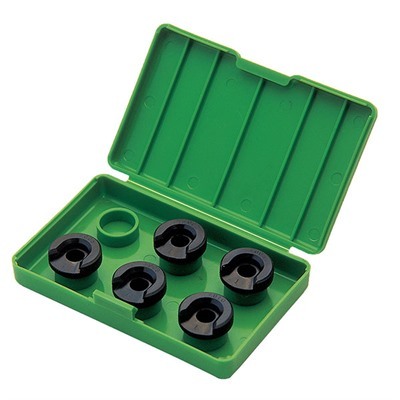 Redding’s five piece shellholder set is designed so you can adjust your headspace by selecting the appropriate thickness Redding shellholder. The five shellholders are +.002", +.004", +.006", +.008", and +.010" thicker than normal shellholders (.125" from the bottom of the case head cut to the top of the shellholder). Each shellholder is clearly marked and has a black oxide finish to distinguish them from normal shellholders. Comes packaged in a 6 position storage box leaving an empty space for your regular shellholder. View Redding Shellholder Chart.